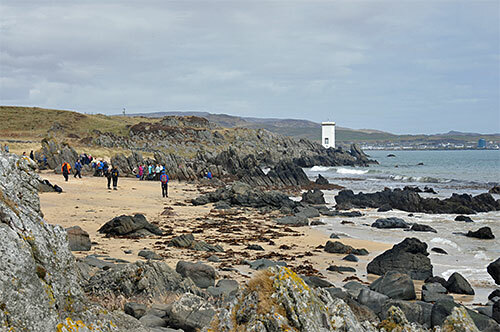 This was as most of you probably recognised at the Singing Sands near Port Ellen, we had walked here along the coast from Inveraval. A very nice walk passing Port an Eas and other places on the way. While we won't visit the Singing Sands this year I'm very much looking forward to many great walks again this year. And on that note I'm signing off for tonight. I'm not sure yet if there will be a Friday Islay picture next week, but there will certainly be a few posts before I leave. Good night and have a great weekend.